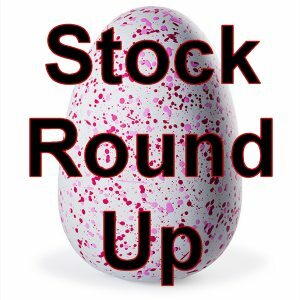 It's been a rollercoaster ride for UK Hatchimal hunters in the last few weeks and also a crazy one here at Stock Informer HQ with late nights and early mornings now the norm. Stock has been at a premium and we have sometimes seen joy turning to despair with orders placed and then cancelled by retailers. Demand is extremely high with online stock selling out in literally minutes and reports of early morning queues at stores with buyers hoping to bag a Hatchimal. The manufacturers, Spin Master, have stated that the response to Hatchimals has been "extraordinary, exceeding all expectations". The good news is that production has been increased and more stock is due throughout November. Tesco Direct have had large amounts of stock available online especially the Pink and Bearakeet Hatchimals which sold out very quickly. Not many complaints once you have a completed order. Of all the retailers we list, Tesco have probably been the most productive for stock availability. Unfortunately the product webpage on the Tesco website is sometimes slow to update. It will show as 'In Stock' and allow you to 'Add to Basket' but then inform you the item is out of stock! This is obviously very frustrating and we try to update the Stock Informer listings accordingly where we can. Tesco have an exclusive Bearakeet Hatchimal which they sold considerable stock of a couple of weeks ago. We are not sure if they will be getting any more before Christmas. At Argos you can reserve to Click and Collect at your local store but not for home delivery. Sporadic stock which sells almost immediately. For latest stock listings see our Argos Hatchimal Store Checker. You need to be really on the ball to get an Argos reservation. Reports of more stock due this week (week commencing 7th Nov). Surprisingly since launch Amazon have had hardly any stock at all. Unlike their English counterpart, these European divisions of Amazon had better stock levels and happy to deliver to the UK. The Hatchimals themselves come with English packaging and the same as you would by in the UK. Hatchimals don't speak any language when they are emerge from the egg, they learn to speak from it's owner. Therefore, no need to worry about it talking a foreign language with a bemused upset child on Christmas morning! The price can vary, however it's only ever a few pounds more than the UK price and a couple of times we even noticed it cheaper! (Even with delivery) Lots of people have received their orders within a few days with no problems whatsoever (see our discussion forums). Direct links to Amazon Germany, Amazon Italy and Amazon France. Had small batches of online stock, however The Entertainer website crashed this week under the sheer load of eager buyers. The website advises more stock due late November, however we suspect they will possibly now stick to selling through their stores only. Have had what seems reasonable batches of stock but website issues sometimes mean an order is taken but then subsequently cancelled. Only very small batches of stock, which quickly sold out. Seem to be concentrating in selling through stores as opposed to online. No availability online on the Sainsbury’s website, just in store. The John Lewis website has only released two very small batches of stock. Again, they seem to be concentrating on selling in-store. Not everyone’s favourite due to inflated prices, however eBay does offer an alternative immediate source of stock which some find invaluable. Even with Spin Master increasing production, Hatchimal stock shortages are likely to continue right up to Christmas Day. The Stock Informer website constantly checks for stock so you don't have to. See our Hatchimal Stock Checker for the latest. Lastly, see our Hatchimal Online Ordering Tips to increase your chances of a successful order.